This summer in Duluth has been an exceptional one, filled with extraordinary adventures along the shores of Lake Superior, and delightful guests coming through the doors of our Inn. 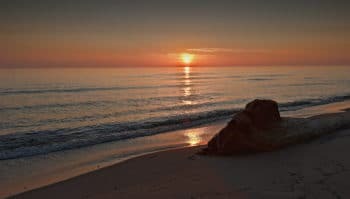 Our location on Minnesota’s popular Park Point neighborhood is perfect for watching captivating sunsets and shipping traffic coming into Duluth’s harbor, and is the perfect destination from which to launch adventures on both land and sea. Those of us in Duluth know how to have a good time, which is a mindset reflected by our earned title of “Best Town Ever” by Outside Magazine. Further, our Duluth Bed and Breakfast is just a short walk away from downtown Duluth, and all it has to offer. Come stay with us for a few days, and spend your time exploring Duluth’s wooded hillsides and sparkling waterways. Afterwards, unwind and cool off with delicious craft brews at Duluth’s top breweries. Duluth has a rich brewing tradition. In fact, Duluth informally likes to call itself the craft beer capital of Minnesota, and we agree. Today, that brewing history is reflected by the incredible range of local micro breweries and brewpubs in the area. Beer-lovers will rejoice in the impressive range of unique craft brews. One of the most popular breweries in Duluth remains Fitger’s Brewhouse. For a time, Fitgers was Duluth’s only brewpub, first opening its doors in 1995. 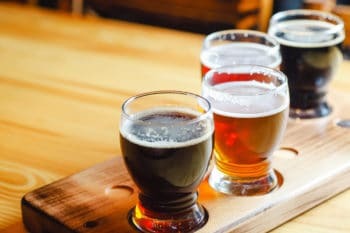 Other popular destinations for craft brews include Bent Paddle Brewing, Canal Park Brewery, and Lake Superior Brewing Company. Though Duluth’s old favorite hotspots are still an impressive presence in Duluth, there are some newcomers in the Twin Ports area that are producing some incredibly delicious craft brews. Both of the newest places to open were spearheaded by former master brewers of Fitger’s Brewery. The first of these is Hoops Brewing, located in nearby Canal Park. The owners of Hoops plan to brew up to 30 different brews, making it a must-do stop on your beer-drinking adventure. The second new destination is Earth Rider Brewing Company in Superior. The brewery will be located near the High Bridge in the former home of Leamon Mercantile Co. The brewhouse is across the street from the historic Cedar Lounge, which is currently a beer-centric tavern, and will soon re-open as the Earth Rider taproom. The 20-barrel brewhouse is still under construction, and the first batch of beer is expected later this summer or early fall. There are also several awesome brewery tours in the Duluth area if you want a true behind the scenes look at how your favorite brews are created. The Duluth Experience is a local tour company that offers one of the best selections of tours we’ve seen. They have five different tours to choose from, each with its own unique list of breweries to visit. With all of them, transportation is provided, followed by unprecedented behind-the-scenes access to the breweries and tastings. It’s the best way to get a taste of Duluth’s beer scene, especially if your short on time. There are so many reasons to come stay with us for a few days in Duluth, and great beer is just one small part of that. Book your stay at our romantic Bed and Breakfast, and come see this incredible city for yourself.